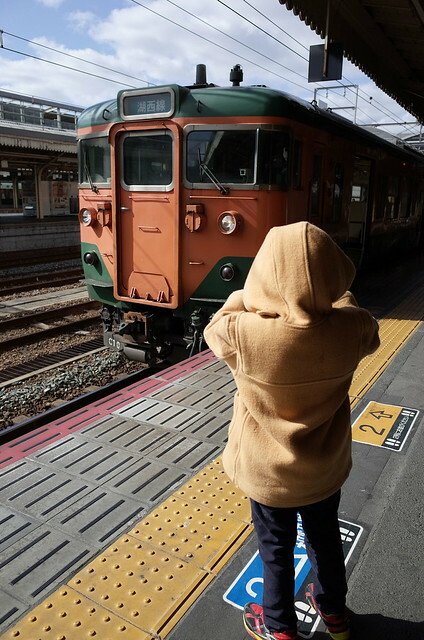 My son taking a picture of the Kosei train line. As my son and I hang out, he will take his camera with him and take pictures of anything he wants. This is precisely the way photography should be enjoyed. He doesn't talk about gear (he's five), or which lens is best, or format factors. The camera that he carries is a Ricoh GRD2. Although he doesn't realize it, this camera has been taking photos of him since birth. Someday, I'd like to tell him about the camera and hopefully he will appreciate it as much as I did when I started using the camera that had taken photos of me since birth that my parents gave me.